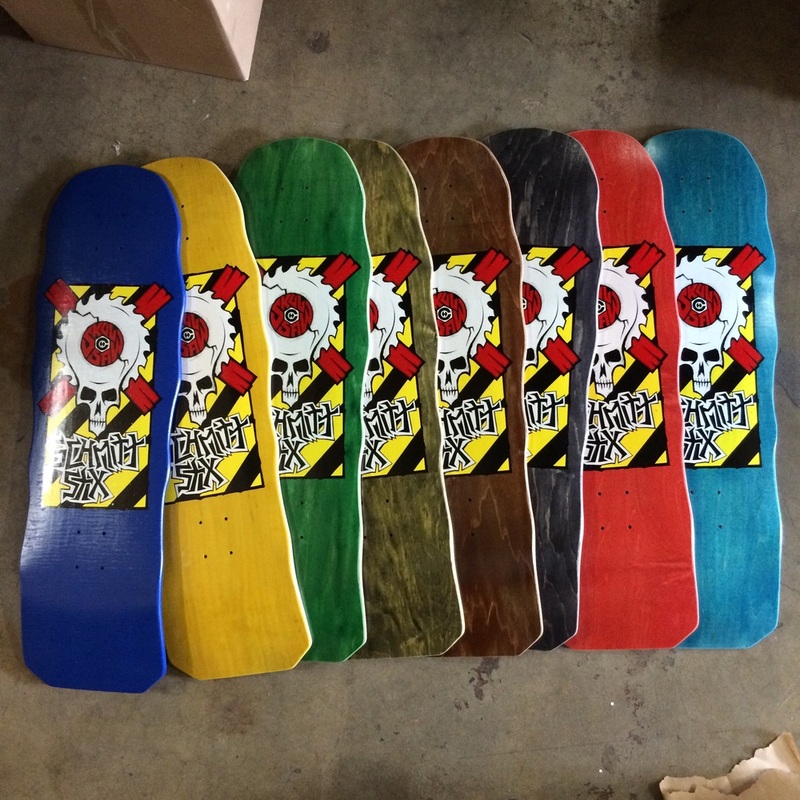 One day Duane came in with the idea to paint some of his decks. He had already painted his own and it looked pretty rad so we decided to do a limited run of 77 of the hand painted decks. Check them out here! Posted on June 9, 2015 by Select Distribution. Posted on March 27, 2015 by Select Distribution and tagged Mg Vision Skateboards. New Elephant Brand Street Axe deck in now! Posted on March 19, 2015 by Shawn Rossmiller. 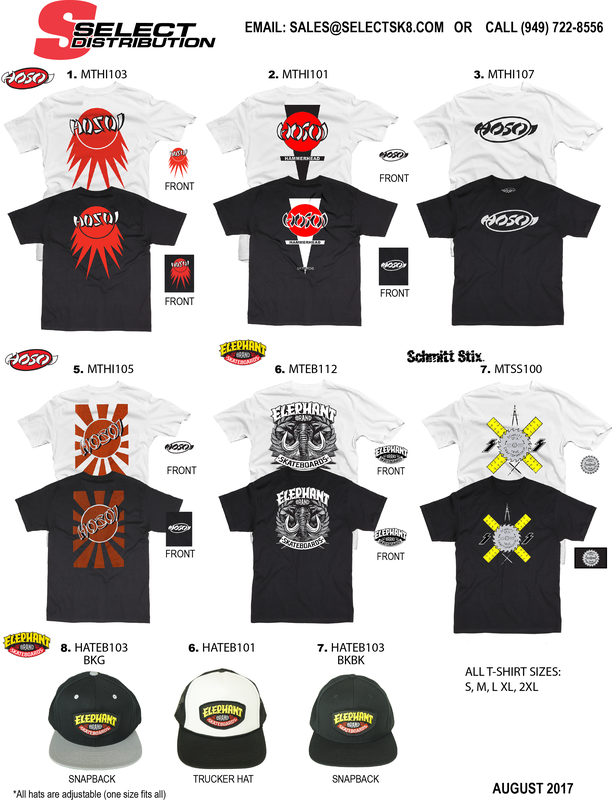 Posted on March 18, 2015 by Select Distribution and tagged Screen printed Made in USA Schmitt stix. Taylor was up at the Diamond Park in East L.A. on his Hosoi Snakeskin. Taylor moved to L.A. from Houston and has been rippin it up ever since. We're proud to have Taylor Jett on Team Hosoi. Posted on October 8, 2014 by Select Distribution. Legends Mark Gonzales & Eddie Elguera in N.Y.
Posted on October 1, 2014 by Select Distribution and tagged Mark Gonzalez Eddie Elguera El Gato The Gonz Frontside Rock N Roll skate legends. Shout out to Rodrigo Panadés from Santiago, Chile. Thanks for the Support ! Posted on March 25, 2014 by Select Distribution. The ditches of our youth were so amazing back then. Once you mastered one trick in them you felt like you owned that hole in the ground and gave you the confidence to go there at any time and shred. I had a ditch like that up on this hill, it was a full snake ditch with hips and coping (actually a sprinkler line) on one side. It used to be a pretty good hike to get there but as developments occurred around the area the hike got shorter and shorter. It’s in a weird spot that most would not even think twice about and since its at the top of the hill nobody looks down. It’s maintained its shape for over 20 years and the last time we went there it was still very skateable. During our last venture out there we brought with us some qwik crete to fix some of the wear and tear from throughout the years. I haven’t been there in a while and always think if the next time I go there will there be a big pile of cement down the middle so nobody can skate? Even worse will other skaters be there because they heard the stories and went to see if the legend was true. Posted on January 29, 2014 by Select Distribution and filed under Skateboarding, Shredtastic and tagged Skateboarding Ditch Skating Awesome Skate Ditches Parking Block Skateboarding. The Schmitt Stix Joe Lopes is coming back with a white background for all the dedicated Schmitt collectors out there. Posted on January 27, 2014 by Select Distribution and filed under Old School Decks, Pro Model, Schmitt Stix Skateboards, Skateboarding and tagged Schmitt Stix Joe Lopes Joe Lopes Crystal Ball Old School Skateboarding Skateboard Collector Skateboarding.